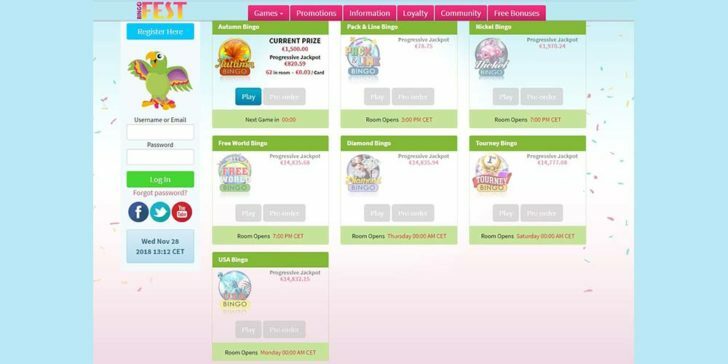 BingoFest offers non-stop bingo action in its 10 different bingo halls, with free games and jackpot games offered every hour of the day and night. Dozens of different game types are available, from coveralls and patterns to special poker bingo. Tournaments let members play for even bigger prizes. Players can enjoy more than 30 great side games too, from slots and video poker to blackjack and roulette. BingoFest Welcome Bonus dishes out 10 bonus spins on Advent Wins along with $25 Bingo Bonus throughout December. Besides that new players can grab up to 550% match bonus on their first 3 deposits. The first deposit bonus match your initial bonus 300%. You can deposit as little as $10. The more you deposit the bigger your bonus money gets. The second deposit bonus brings 150% match bonus while your 3rd deposit gives away another 100% match bonus. It means that you will get more bonus money as you deposit and enjoy BingoFest games. A comps program provides even more rewards, by giving players points for buying cards – these points can be later traded in for cash and prizes. Free bingo games run every 5 minutes, and they’re a great way to learn how everything works – try one today! 10 Bonus Spins + $25 Free Bingo Play! Win a Trip to London with Bingo Fest’s Halloween Tourney Play! 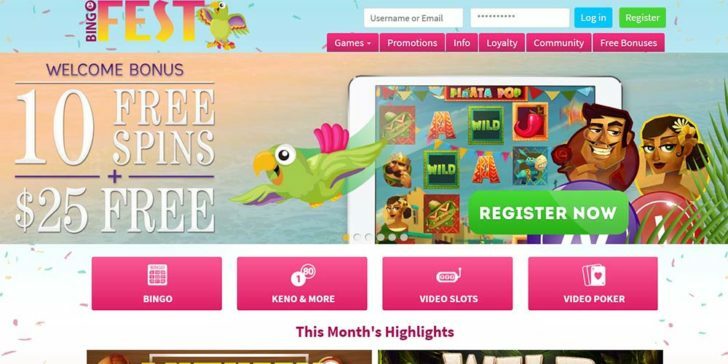 Win Cash Prizes up to €600 Celebrating Bingo Fest’s 22nd Birthday! Play! 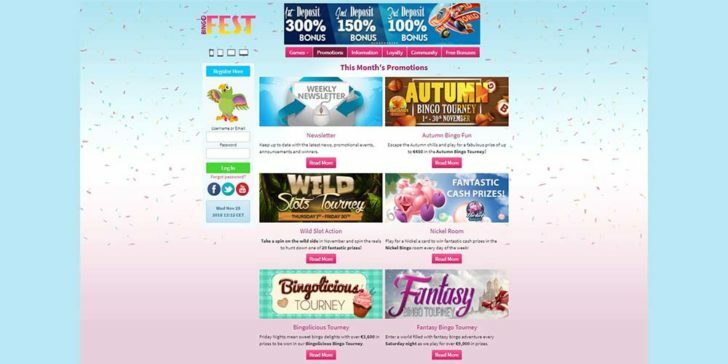 Bingo Fest’s Online Bingo Tournament Offers USD 1,000 Main Prize Play!